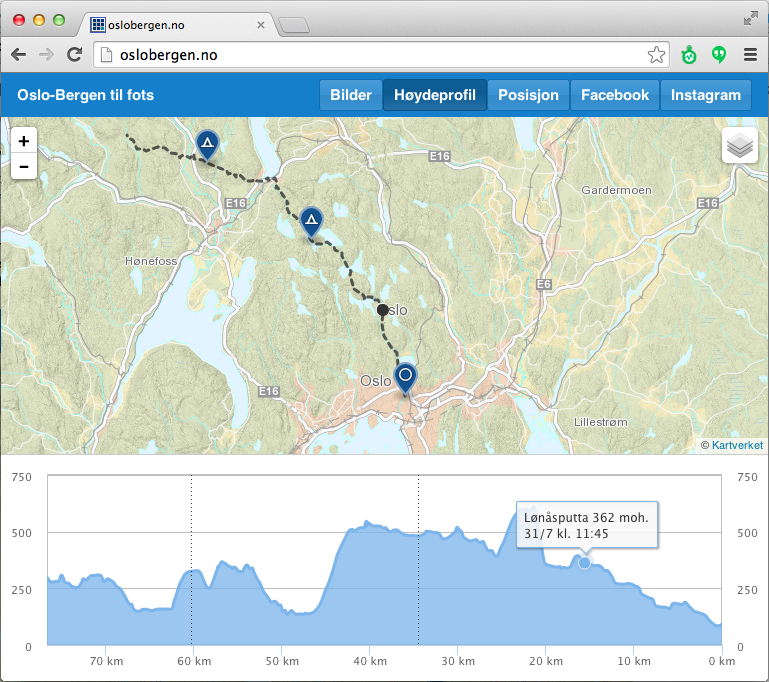 master maps: Live tracking from Oslo to Bergen by foot - ready for takeoff! Live tracking from Oslo to Bergen by foot - ready for takeoff! Update August 2: I had to cancel the trip on day 3 due to serious illness in close family. Place name, altitude and terrain types fetched from the the Norwegian Mapping Authority. Weather forecast for the specific time and position. Instagram photos along the way. Sortable table of all recorded positions. GPS track (in the map menu), more detailed than the SPOT track. All data is synced with CartoDB. The map is of course made with Leaflet. I'm using sphere-knn to quickly find the nearest position when you're hovering og clicking the track line. I'm using crossfilter to quickly sync the map and the elevation profile. The elevation profile is made with Highcharts. 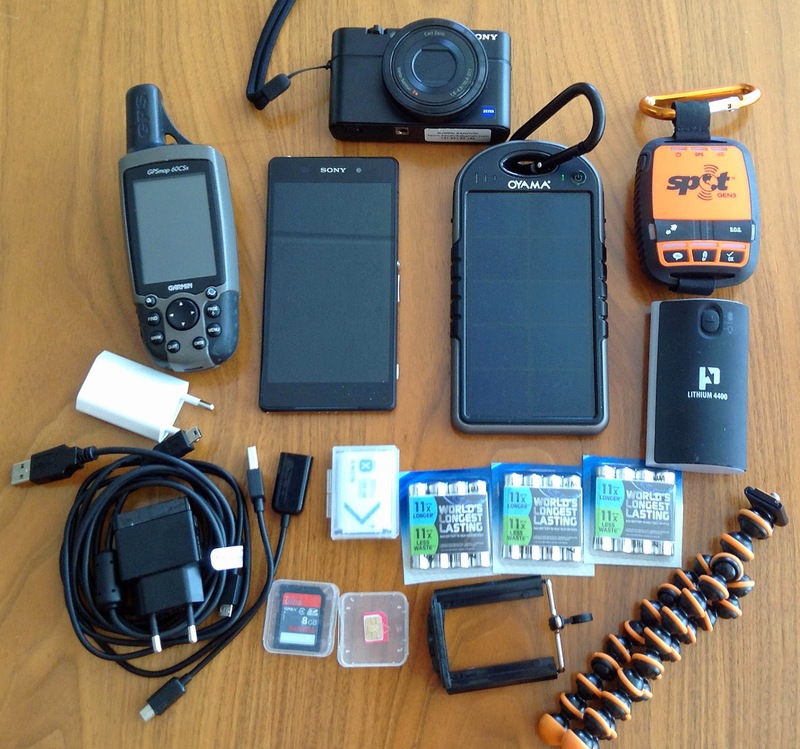 I'm able to upload GPS tracks (GPX) from my mobile phone with USB OTG. The user interface and grid is made with Ext JS 5. Maybe not the smartest move, as it's a huge download for mobile devices. Really nice and very impressive, Bjørn! Have you considered to include some items from the Norvegiana pool of cultural heritage objects (http://norvegianablog.wordpress.com/), similar to your Instagram plans? Yes, it was the plan, but unfortunately I ran out of time. I'm looking forward to use the Norvegiana API for later trips!